Your KFC favorites just got cheezified and baconized! 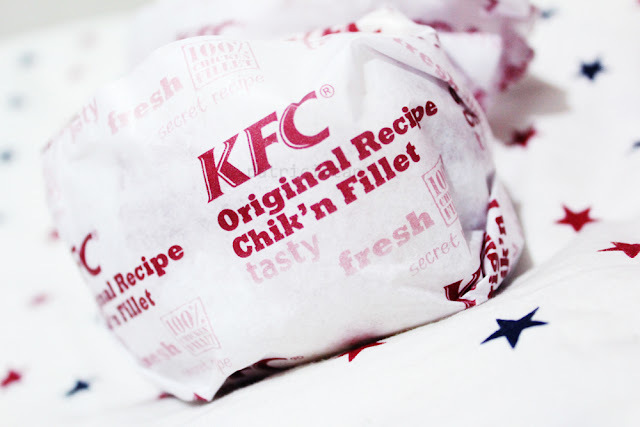 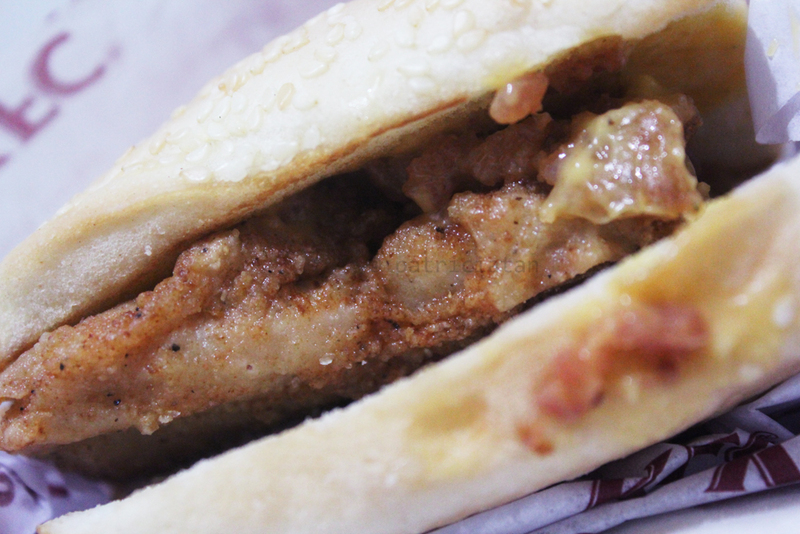 Original Recipe chicken fillet with chicken bacon bits and cheese sauce served on a warm water-split bun. 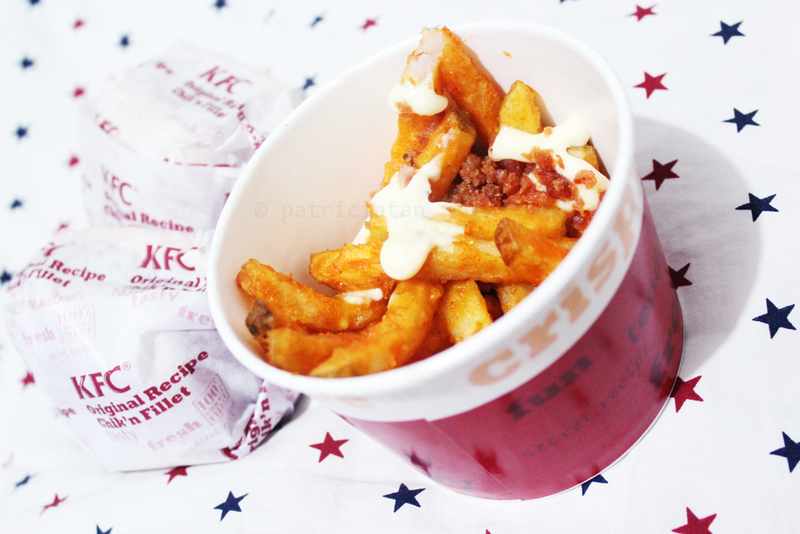 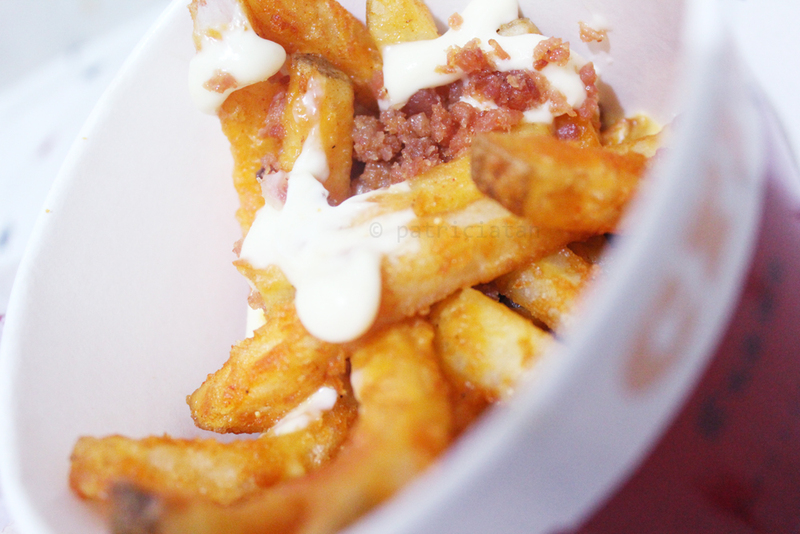 and A mini bucket of KFC's flavor coated Crispy Fries topped with chicken bacon bits, cheese sauce and mayo. Because the butterflies in our tummy were starving in the middle of night! 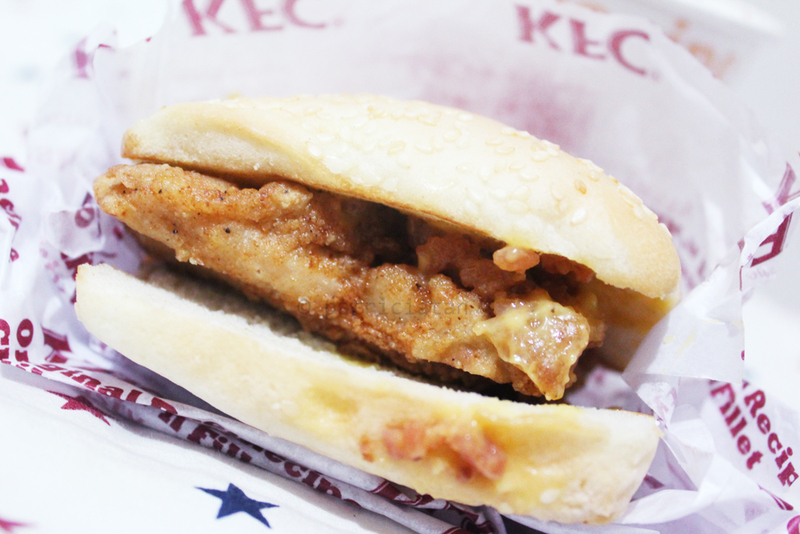 Pigging out with K.